This year’s World Malaria Report delivered a sobering message to the global health community: confirmation that progress in the fight against malaria has stalled, with global malaria cases at around the same level as last year. While many countries are moving quickly towards elimination, “those carrying the highest burden of the disease are losing ground,” a WHO video about the report says. 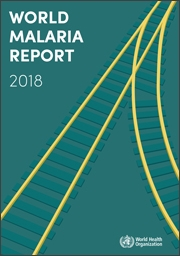 The report was launched by WHO on 19 November in Maputo, Mozambique, one of the 11 countries identified as bearing around 70% of the global malaria burden. After years of encouraging results in the global fight against malaria, with global malaria death rates having dropped by 60% since 2000 (the Global Fund calls it “one of the biggest public health successes of the 21st century), the news that gains have, in some places, started to recede has been met with concern. WHO’s Director-General, Dr Tedros Adhanom Ghebreyesus said, in the report, that the disproportionate disease burden carried by several countries, and the inadequate level of investment in malaria control remain particularly worrying. Of the $3.1 billion in funding for malaria control and elimination in 2017, the Global Fund provided $1.36 billion (44%), and is the largest source of funding for many of the 11 highest-burden countries. PEPFAR provided $1.2 billion (39%), and $900 million came from domestic investments from governments of malaria-endemic countries. In order to reach the 2030 global health goals, the global malaria response must double by 2020, WHO’s press release for the report launch said. Some countries have reported impressive progress, including India, Ethiopia, Rwanda and Pakistan, each reporting reductions in the number of malaria deaths between 2016 and 2017. Though their respective approaches have differed, said Dr Pedro Alonso, director of WHO’s Global Malaria Program at a press briefing just before the report’s launch, the common denominator in their success has been effective political leadership galvanizing country-led responses. “The number of people affected by malaria increased slightly in 2017, a global report has shown, as progress against the disease stalled amid a scaling-down of significant investments. There were 219 million cases of malaria in 2017, up from 217 million in 2016, according to the “World Malaria Report” released Tuesday by the World Health Organization. It added that 11 countries carry 70 percent of the global burden. Burkina Faso, Cameroon, Democratic Republic of the Congo, Ghana, Mali, Mozambique, Niger, Nigeria, Uganda, Tanzania, and India will now be targeted by a WHO campaign.